This user is Lower Moderately Active because of unemployment. 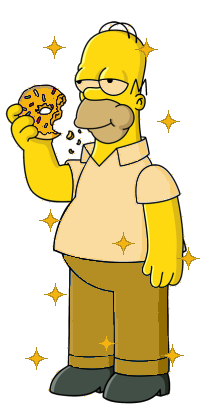 This user was awarded the Golden Homer Award for March 2010! I came here to improve the wiki for the biggest cartoon in history! The episode pages were (and some still are) a mess, so I implemented the Tab system from Family Guy Wiki and set to work creating a consistant structure for the episodes, a lone gun whittling down the seasons. Now i'm project leader of Project Episodes! Modified on December 21, 2013, at 09:29.